Morning tea, American/Indian Breakfast and Dinner (MAP) on Menu Plan ( Fix Menu Veg Food ). All Sightseeing As per above mention Itinerary. On arrival at Delhi Railway Station Pick up and you meet our company representative and transfer shimla, on the way Visit Pinjore Garden and after visit then drive to Shimla, known as the Queen of Hill Stations. Upon arrival at Shimla check inn to Hotel.Fresh up and visit mall road( IF THE TIME PERMITS) , return to hotel Overnight stay at hotel. Next day morning after breakfast at hotel, proceed for a tour of Shimla. Himachal State Museum, Jakhoo Hill, Summer Hill, Chadwick Falls, Prospect Hill, etc. Afternoon proceed for an excursion to Kufri Valley / Kufri Adventure camp. In the evening return to hotel for overnight stay. Morning after breakfast at hotel, drive to Manali, on the way visiting Kullu Valley, lush fields and orchards of cherry, plum and apple. 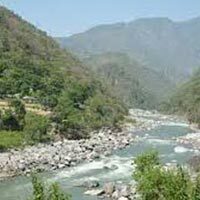 The charming Kullu valley the abode of the God is full of picturesque spots .The town of Kullu is famous for its colorful Dussehra festival. Later on, proceed to Manali. On arrival check into hotel. Rest of the day is at leisure. Overnight stay at hotel. capped peaks and wooden slopes. 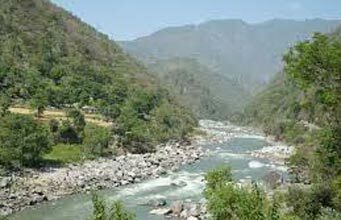 Visit Hidimba Devi Temple, museum, club house,tibattan monestry,van vihar,vashisht hot spring ,mall road etc.over night stay. Day 6: ​Manali to back ​Delhi Airport. transfer to delhi evening drop to Delhi Airport to your onward journey.